There comes a time in every homeowner’s life when the pipes start to fail or develop other problems. During these times, the common solution is to simply repair or replace the sections of pipe causing the most trouble. However, a complete repiping can save both time and money in the long run. For houses with lead pipes, this is a necessary step, but even homes with older, worn pipes that contain no lead can benefit from repiping. Much like the human body, your home has its own internal systems. 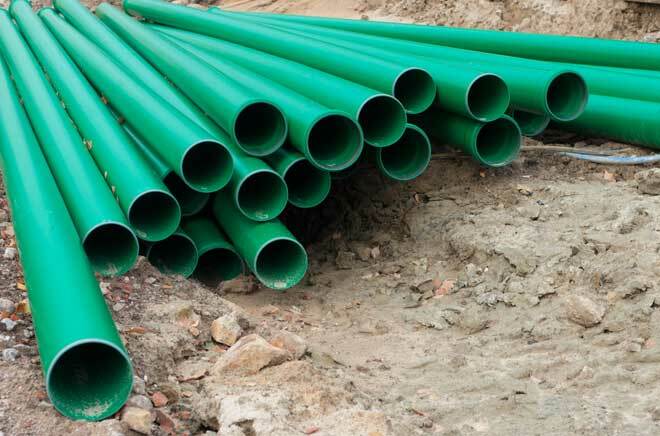 If the frame is the skeletal structure and wiring is the nervous system, then pipes are the circulatory system. These pipes move hot and cold water between the water heater and the rest of your home. They also pump in clean water and remove waste from the house to a sewer or septic system. As such, the pipes in your home wear down and may leak, burst, or develop blockages over time, much like your blood vessels. When a pipe becomes damaged, you may choose to repair or replace just that pipe. However, older pipes may be developing problems where you can’t see them. Repiping is essentially the same as being able to replace part or all your entire circulatory system at one time to stop potentially serious breakdowns and save on expenses from multiple small repairs. When Should I Consider Repiping My Home? The best time to consider a full repiping is when you have old metal (such as galvanized iron) or polybutylene (poly) piping. These are more prone to leaks and may also contaminate your drinking water in certain cases. Repiping can also be a proactive move to upgrade pipes that are more than five years old. Meanwhile, partial repiping is an excellent choice when remodeling, and may be used to replace sections of damaged pipe when your budget can’t handle a full repiping. What are the Pros and Cons of Repiping? The biggest issue with repiping is the cost. Even if you are an expert DIYer, you will need an inspection of your existing pipes, the materials, and any tools. Thus, this may not be a wise investment if your current pipes are in good condition. One of the most common types of metal piping, copper has numerous advantages which keep it a competitor against PVC and PEX. These pipes are small and rigid, but may be used for both indoor and outdoor plumbing. Despite being made of copper, they are actually highly resistant to erosion. 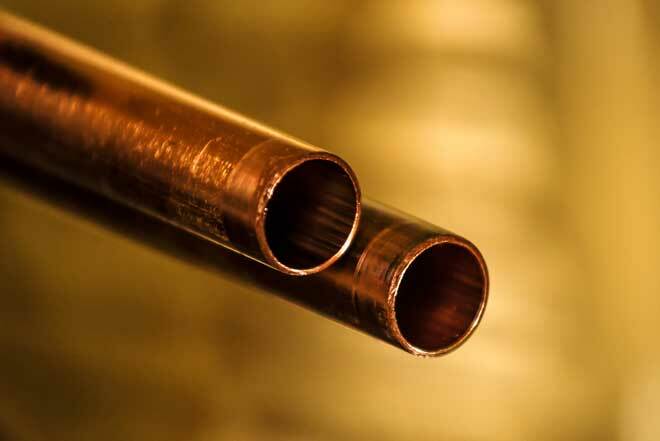 Besides erosion, copper has other advantages over traditional metal pipes, as well as some non-metal options. For example, copper piping is extremely long-lived and may last a century or more before needing to be replaced. It can survive a house fire and is resistant to the effects of weather. Best of all, while a more expensive investment, copper is completely recyclable and usually comes with a 50-year manufacturer’s warranty. No piping option is perfect, and copper comes with two main disadvantages. First, difficulty in installation means the process will cost more than with other systems. The second problem commonly reported is theft. As the value of recycled copper is relatively high, thieves have been known to remove copper piping from homes and businesses. This latter problem may never arise, but should be noted all the same. Highly colorful and flexible, cross-linked polyethylene (also known as PEX or XLPE) has been in use throughout Europe since 1970 and the US since 1980. Despite several advantages over other piping materials, you have likely not heard about this option. All three variations of PEX tubing meet ATSM (American Society for Testing and Materials), CSA Group, and NSF International standards. High density polyethylene is melted and extruded into a tube shape, causing a cross-linked chemical reaction which increases strength, resilience, and resistance to low temperatures. There are three different methods of cross-linking: the Engels Method (AKA PEX-a), Silane Method (PEX-b), and Radiation Method (PEX-c). Of these, PEX-a is generally considered the most flexible. Due to its high flexibility, PEX can be coiled during shipping. This allows larger quantities to be shipped at a reduced cost. Each coil provides a long pipe which can be bent to 90 degree angles or further without the need for elbow joints. This saves a lot of time and money, while reducing the risk of joint leaks. PEX is also immune to corrosion, scales, and has a higher resistance to freezing. It doesn’t transfer heat, doesn’t require welding, and may be connected in a number of ways. Some of these connection methods include copper crimp rings, stainless steel clamps (SSCs), compression, expansion, and push-fit. Polyvinyl Chloride, or PVC, is a popular choice for modern plumbing. This alternative to metal piping is more durable than polybutylene, which was mainly used from the 1970s to 1990s. PVC pipe is widely available, making it a good choice if you plan to make a partial repiping into a DIY project. Most of PVC’s advantages are against traditional metal piping. The pipes do not need welding and are resistant to corrosion. It’s a more flexible material with a large number of fittings available. It also tends to be lightweight and easier to work with. Best of all PVC is a very cheap option. Chlorinated PVC has been put through an additional chemical process to increase its resistance to heat and corrosion. It’s stiffer and more difficult to place in drywall than regular PVC. This lack of flexibility also means it can become noisy in temperatures exceeding 160 degrees. More expensive than PVC, CPVC originally had a 50-year manufacturer warranty, but this has been reduced to 10 years after it was found to be brittle. In all, CPVC is not a good option. The overall cost for repiping varies from one contractor to the next. However, the type of piping you choose will have a significant impact on the short-term costs. In the event your budget is more flexible, it is a good idea to also weigh in the potential long-term savings. Copper – The most expensive option in the short-term, costing twice as much as PEX and PVC. Not only is copper itself expensive, but you will need to purchase any joints and fittings. 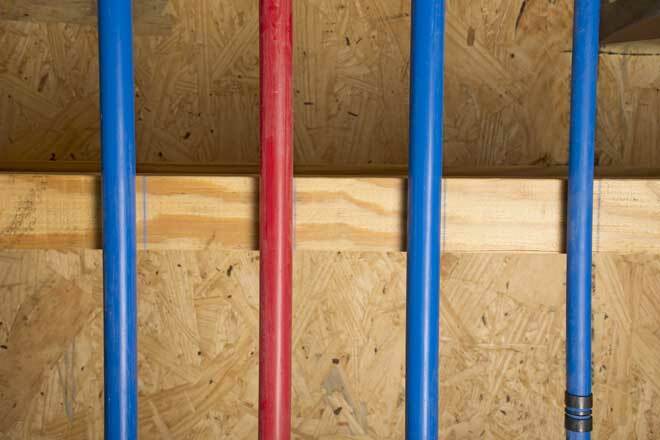 PEX – Similarly priced to PVC, PEX arrives in long, flexible lengths. A special tool is required for most methods of connecting PEX pipe, which may cause an added expense. For example, a combo kit with crimp jaws may be purchased starting at $100, while cinch clamp tools will run $40 or more. You also have the option of getting fittings to connect PEX to your existing pipes for partial repiping jobs. PVC – Cheap and easy to work with, PVC is the best choice for a DIY project. It can’t be snaked through a wall cavity like PEX, but is still easier to handle than most traditional piping options. PVC can be cut and installed without the need for special tools, although a little care must be taken when applying adhesive to ensure there are no leaks in the joints. Copper – Copper has the longest manufacturer’s warranty and is very durable. Although the warranty only lasts 50 years, copper pipes can last more than double that. There is a minor risk of theft due to the material’s value. It remains the industry standard. PEX – Sporting a 25-year manufacturer’s warranty, PEX is easier to replace when damaged. However, it is still a fairly new product, so its full long-term potential is not yet known. PVC – While strong enough to be used in furniture and other load-bearing projects, PVC isn’t perfect. It has a lower resistance to extreme temperatures and can still corrode from certain chemicals in your water supply or waste. Like PEX, its true long-term potential is unknown, although CPVC has been reduced to a 10-year manufacturer’s warranty. As you may have noticed, copper and PEX seem pretty evenly matched options. However, there are some times when one is better than the other due to their individual traits. Repiping Specialists – Care Plumbing provides an excellent reference chart on the qualities of both PEX and copper which will help you decide which material is better suited for specific projects.